I paid an impromptu visit to 7 of my hives today. 4 of them were active and taking cleansing flights in the 48 degree (F) weather (Flora, Catherine, Jezebel, & Helen). The other 3 were quiet and not responding to my knocks (Guinevere, Beatrice, & Isabella). Since I didn't have my hive tool I couldn't get Beatrice & Guinevere open, but Isabella's was easy to open. Inside I found a grapefruit-sized cluster, frozen dead. I located the dead queen, as well as a single queen cell that looked like it had been used and was getting dismantled. I'm not really sure what to make of it. 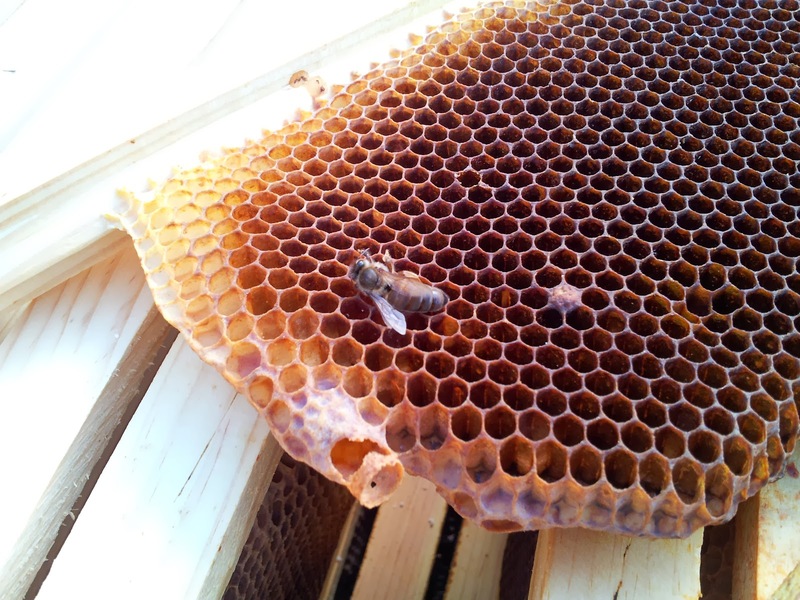 I didn't see it in any previous inspections, so I don't know for sure when they tried to raise a new queen. I know the queen survived the cutout, but she must have been failing (hence the lack of recovery) and they tried to requeen. Unfortunately either the queen was poorly mated or never mated. It must have happened really late in the season. I also took a peek under the lid on Queen Jezebel's hive. They still seem very strong and have a good sized cluster. They've been weighing really light (80 lbs) and I'd hate to lose them to starvation so I added 2 more frames of honey that I took from Catherine last September, bringing the weight up to 92 lbs.